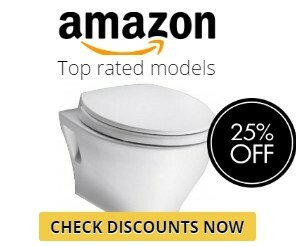 If you are looking for the most sophisticated and stylish toilet, you may want to check other models. 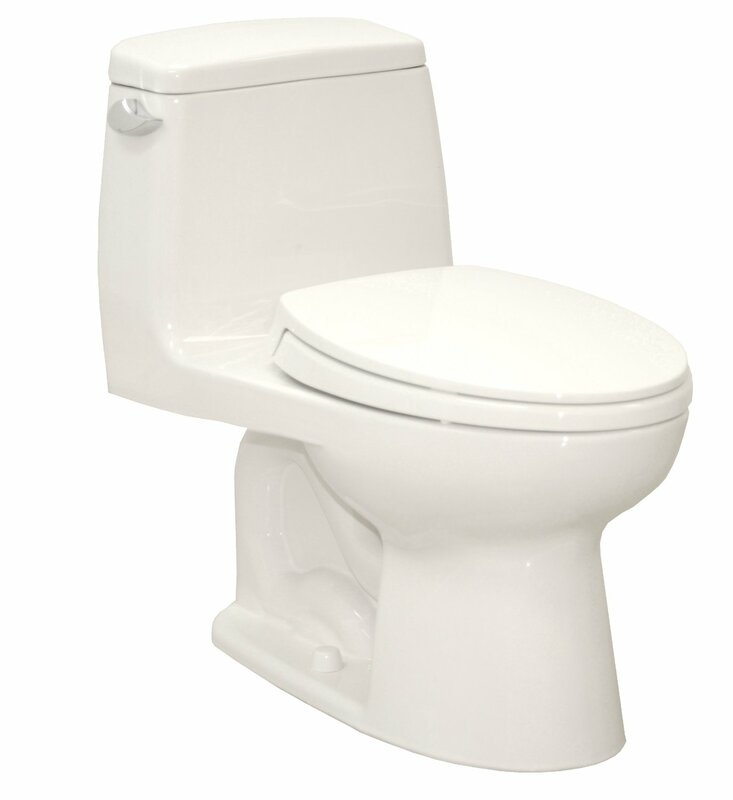 However, if your goal is to find a quality multi-optional two-piece toilet, the TOTO Aquia Dual Flush is just what you need. 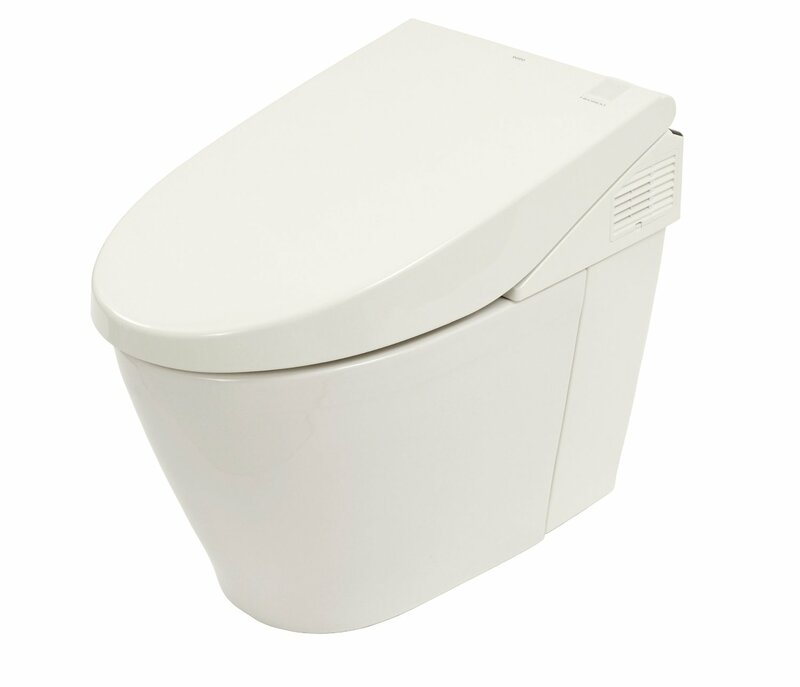 Easy-to-use and cost-effective the TOTO CST412MF will be a perfect addition to any comfortable bathroom. 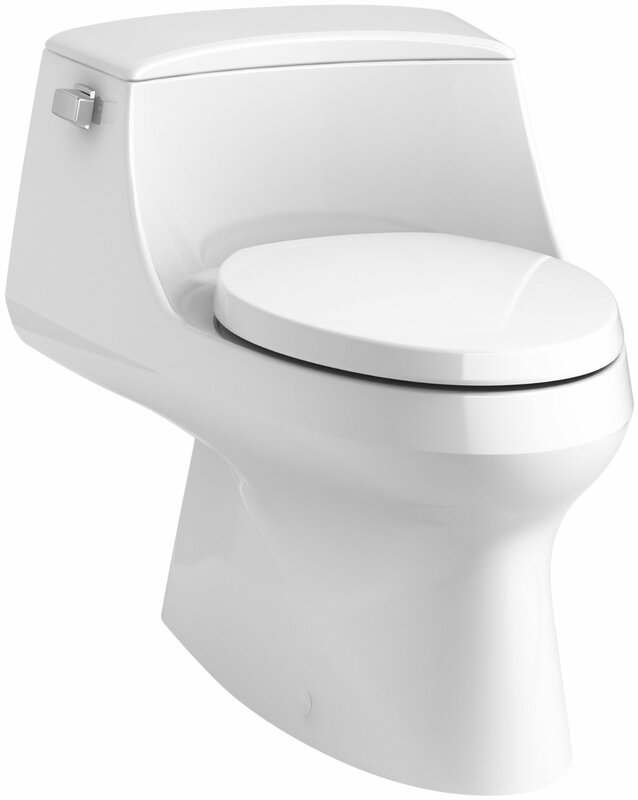 The CST412MF is a proven exemplar of an economical and durable toilet. 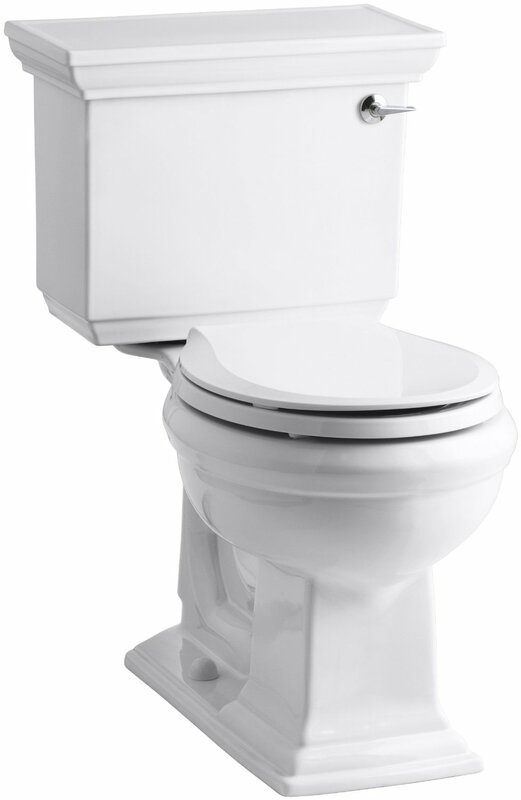 Like most of the modern two-piece toilets, it is equipped with the two-tank flushing system that allows you to choose how much water you want to flush into canalization. For example, bigger wastes require using a larger tank which use 1.6 GPF (6.0 LPF) of water. The liquid wastes can be flushed away with only 0.9 gallons (3.4 liters) of water. Even though the water consumption is rather low, you shouldn’t be afraid of clogging. A wide trapway that comes into a bowl-shaped base will prevent this problem once and for all. Of course, it does not mean that you can through into your toilet anything that you want. It means that, if used properly, the CST412MF will never cause you issues that need to be solved with a plunger. Many of our customers have already tried out this model, and they have made no complaints up to now. They also write that it is almost impossible to clog up. This is the reason why we are so optimistic about the TOTO Aquia Dual Flush and why we recommend it to our buyers. When you look at this model, the first word that, probably, will come to your mind to describe it is “minimalistic.” I don’t know, maybe TOTO invited some Japanese designers to work on it, but it appears to be so urbane and elegant. Its shape doesn’t have any spare details. That is why this model is a perfect addition to any modern bathroom interior. 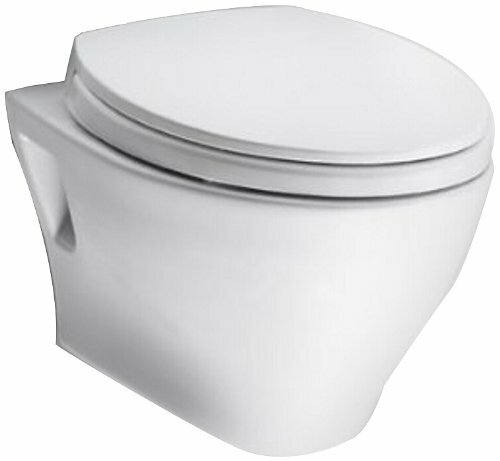 Another great benefit of this toilet is that it comes in various colors like untraditional Ebony or warm and cozy Sedona Beige. There is also a Bone color and the two options of white. Yes, the range of colors is not very wide, but these are the tones people usually look for when they want to buy bathroom fitment. Plus, not every TOTO toilet can brag about such a big variety of colors. So, if you want something other than white, you should definitely look closer at this model. As for the shape of the bowl, it is rather simple and traditional. 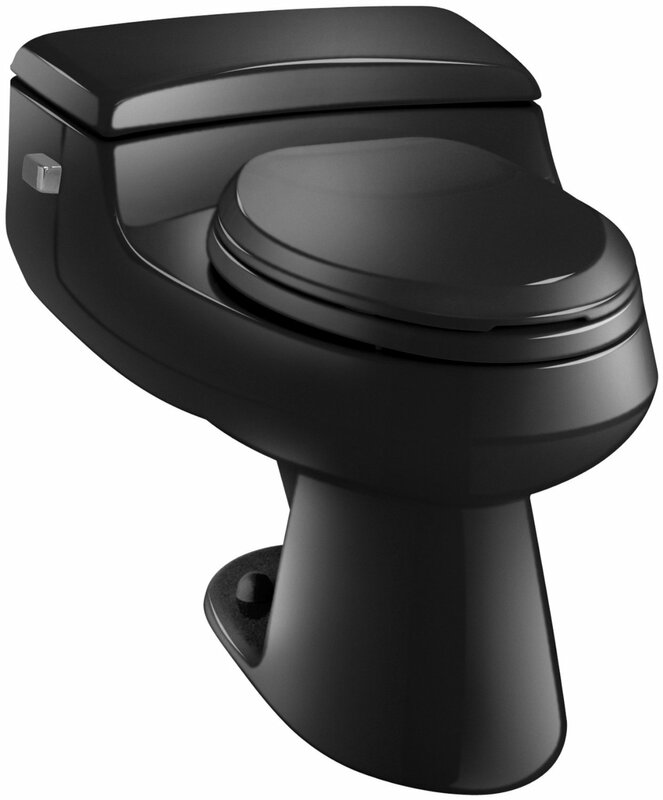 Like many modern toilets, the TOTO Aquia Dual Flush has elongated front bowl. The height of this toilet is universal. When you look for this model, you may also meet a description with the additional “.10” in the end. Don’t get confused. The only difference between the CST412MF and CST412MF.10 is than the last one has 10″ rough-in when the other model has 12″ rough-in. This model is so easy-to-install that you might want to do all the work yourself. Even if you have no previous experience, the compact size, and small footprint will make your job simple as ABC. The CST412MF measures in 27.5″ x 14.2″ x 31.2″. However, when installing, you need to keep in mind that the maximal tank width is 15.5″ and the complete length is 27″ (without seat). 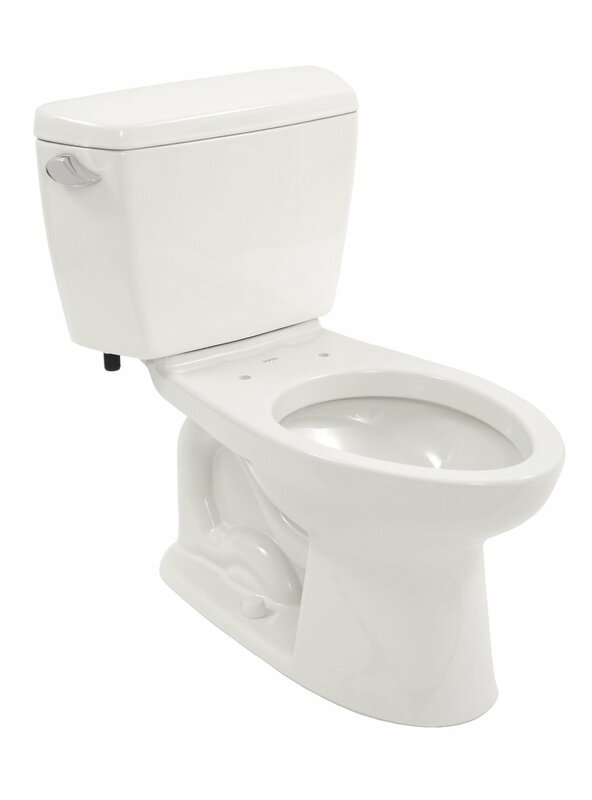 The weight of the toilet is approximately 100 lbs. 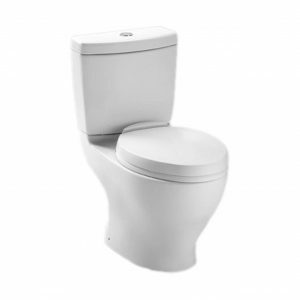 Nevertheless, thanks to its minimalistic proportions and elongated shapes, the Aquia Dual Flush is much easier to operate with than other TOTO models. Its universal height makes it a perfect fit to any bathroom. Another important benefit of this model is that it goes with almost all the details needed for installing (except the wax ring). So, you can put this toilet into its place right after you get it. Unfortunately, the CST412MF and CST412MF.10 don’t come with a seat. It needs to be bought separately. On one hand, you get the chance to purchase the toilet cover you like, but on the other hand, you need to consider additional expenses. We all have different tastes. That’s why some of us will love minimalistic and plain shapes of the TOTO Aquia Dual Flush, and others may find it too simple and boring. However, no one can complain about the quality and usability of this product. 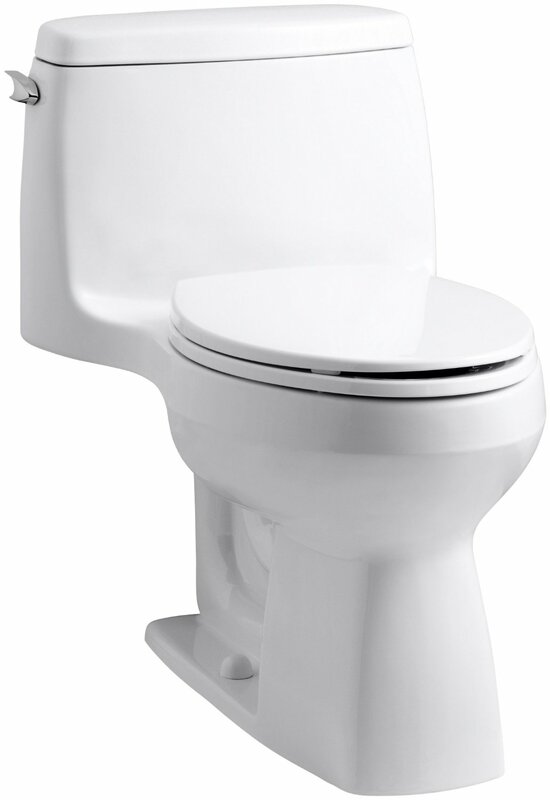 So, if you are looking for a durable and low-consumption toilet, the CST412MF is an excellent choice. Just choose the model with the color that suits your bathroom best.